In this method, the value of θ is varied from 0 to radians. The remaining points are found by symmetry. This is an inefficient method. 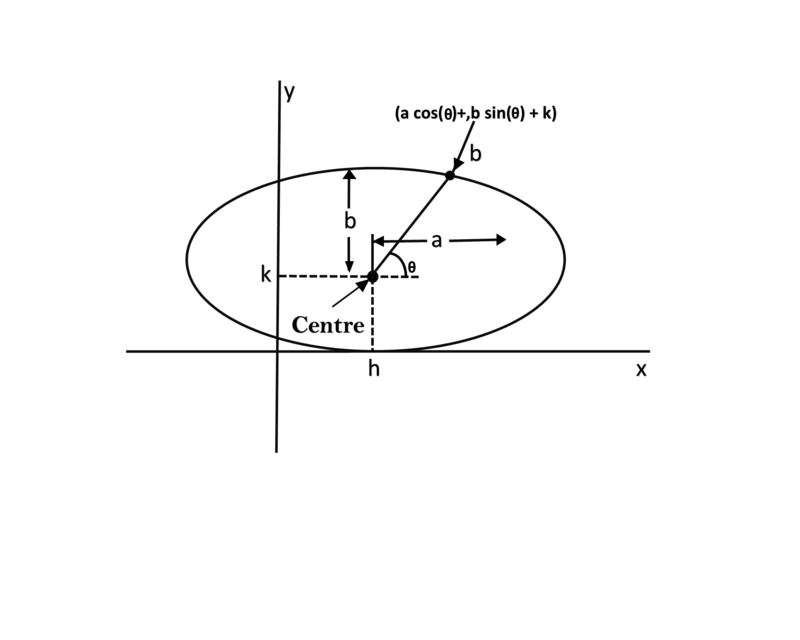 It is not an interactive method for generating ellipse. The table is required to see the trigonometric value. Memory is required to store the value of θ. 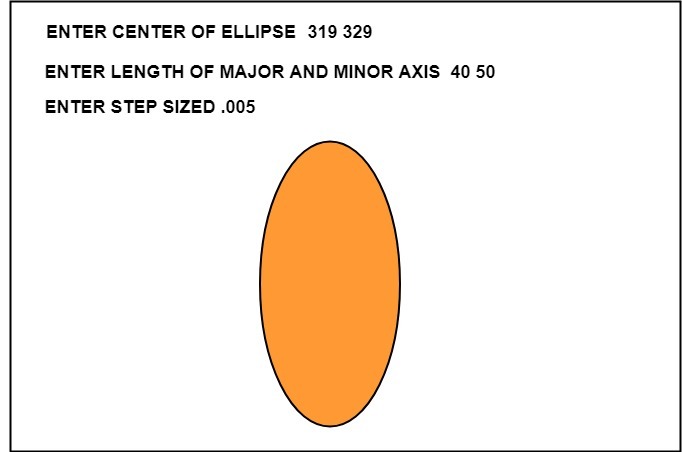 Assume that you would like to rotate the ellipse through an angle other than 90 degrees. 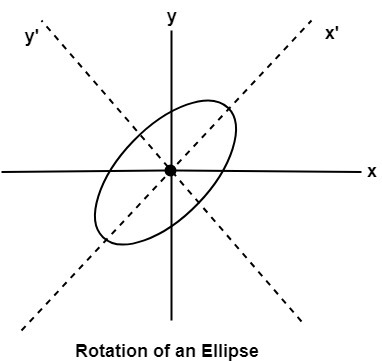 The rotation of the ellipse may be accomplished by rotating the x &y axis α degrees.